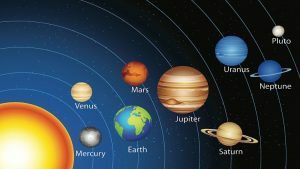 While star watchers on Earth do their stuff, from time to time, the planets assume retrograde motion and to geocentric view, are going backwards. Only two bodies in our solar system never go backwards, and they are the Sun and the Moon. Remainder, there are retrograde movements, from the point of view of Earth. When all planets are going direct, the view on Earth becomes like that of the Sun, heliocentric. It is believed to be a time of mass benefits, and masses are taking advantage of this. The Facebook page for this event and the synchronised meditation is found here. Further information about All Planets Direct is found here.